These easy refrigerator pickles should live in your fridge. Bored with the same old food – add pickles! I make these pickles for my husband who then devours them and attempts to drink the pickle juice (which has become a thing). My kids scream – noooo!!! But he still does it. After I make them, I bring them out with every meal and they disappear fast. I like cucumbers and you can get these small ones for $1 per pound right now just about everywhere. Your most expensive ingredient is the fresh dill but it is well worth it. All you do is toss the ingredients into boiled water (except for the cucumbers) to let them dissolve. Then, you slice the cucumbers into halves or spears and pour over the pickling liquid. I pack my cucumbers together in the jar to make as many as I can. There really isn’t any cooking except for the mandatory refrigeration phase of the procedure. 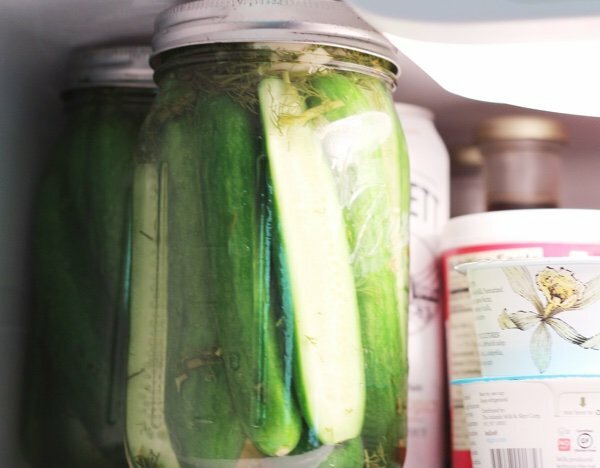 Go ahead and pop them in your fridge for one day and you will have delicious pickles. I used pickling spice (because that was obvious) but you don’t have to buy a mix. If you like your pickles spicy, use peppercorns. Mustard seeds, coriander seeds, cumin seeds, and bay leaves are all good additions to the vinegar dill liquid. 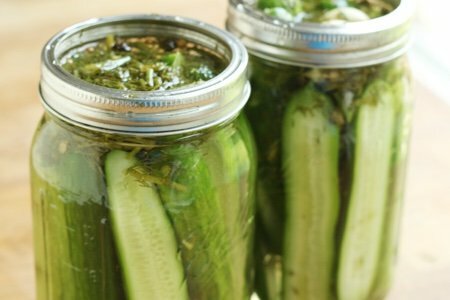 Your pickles will be tastier than any pickle that you can buy and far less expensive. They have a much better crunch because you didn’t cook them in any way. 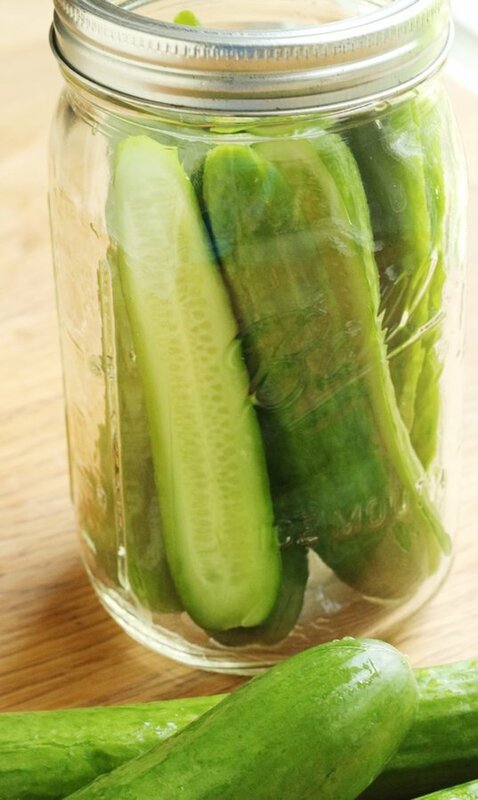 If you already have pickles in the fridge, save the jar and pickle juice and simply add cucumber slices – wait a day – done!!! Now that really is easy. How do you make pickles? What do you serve them with? In a medium sauce pan, add 2 cups of water and bring to a boil. 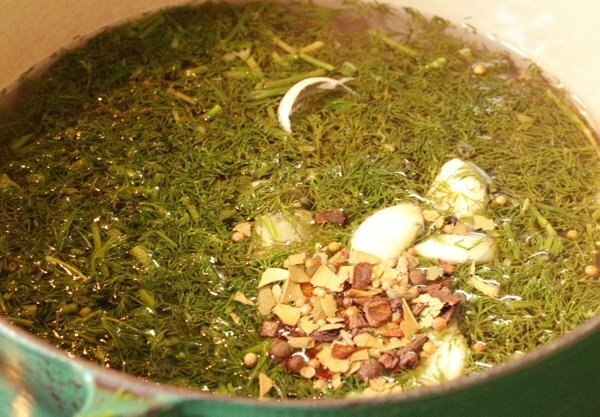 Remove from heat and add vinegar, salt, sugar, dill, garlic, and pickling spice. 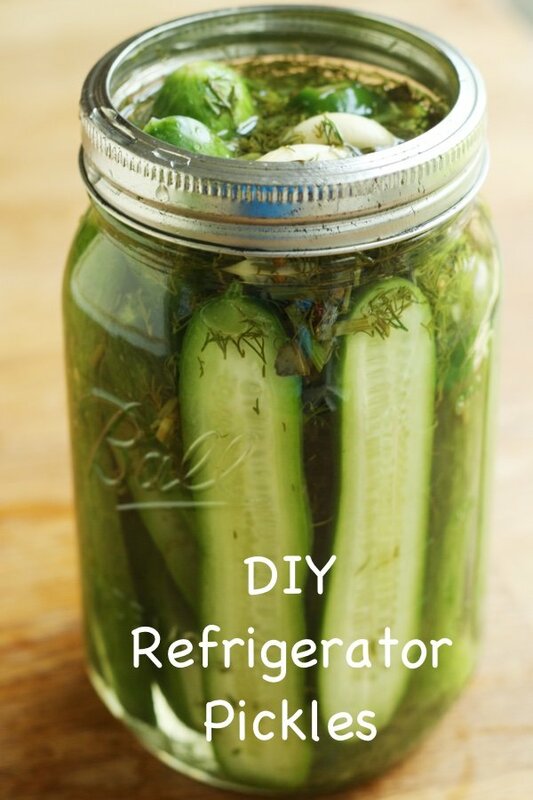 Slice mini cucumbers lengthwise and pack into a large quart Mason jar. Pour liquid over cucumbers adding water if it does not cover the pickles. Refrigerate for 24 hours and enjoy! These will remain delicious for 2-3 weeks. How long do they last in fridge? Where do you find the fresh dill? Do you think these could be made with apple cider vinegar? Also, any chance the sodium could be reduced? 700+ mg is a lot for one pickle. 2400 mg is the daily recommended amount unless you are over 60 when it's only 1500 mg! Is the nutritional info for one whole cucumber (approx 4 inch) or 1/2 of that little cuke? I buy dill pickle juice by the gallon. Yes, literally. I drink it every day. It really quenches the thirst, prevents legs cramps and helps my digestion. I am most certainly addicted. 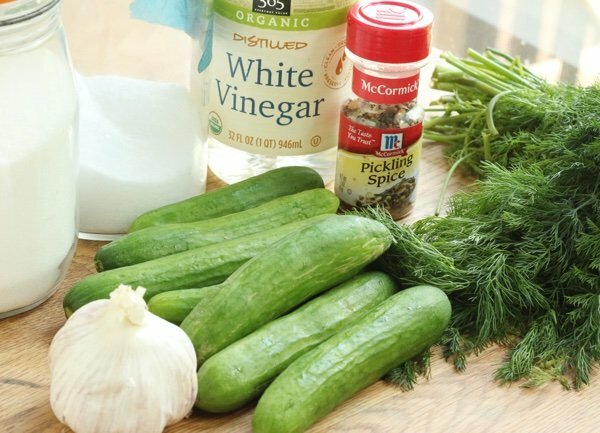 I buy Vlasic pickles and add the dill juice as the juice recedes in the jar. The pickles in this recipe are fine but I make Japanese pickles. I slice the pickles coin size, salt generously, wait about 30 minutes, drain off the excess water, rinse and add Bragg's apple cider vinegar, water and other spices if desired. Salting the pickles is the secret to making them crispy. I use a Japanese pickle press (available on Amazon) to make the pickles because it is best for this process. They come out just like the ones in the Japanese restaurants, crispy and delicious. They make a great calorie free snack. Also wonder if sodium can be reduced and if sodium amount is for whole or half pickle. I don't mean to be rude people, but pickles are salty! If you don't want that much sodium pick a different snack. My husband and I love these pickles. A local restaurant makes a pickle mix with a variety of veggies and I tried it with this recipe. I have pickled baby carrots, celery, peppers, jicama, cauliflower, red onion - delicious. @Vivian - YES to the apple cider vinegar. It is great with apple cider vinegar but it is more cloudy. Pickles are salty but cut it and see it it works. You may like them less salty. Thanks a million for all the questions. I was out triathloning so it took me a while to get to therm. I just put mine in the refrigerator. That was quick and easy. I can't wait to eat one tomorrow, but guess I have to! Does it have to be kosher salt, or can I use regular salt? What size bottle/jar do you use? What size bottle or jar is used?